Our interests are in oncology bioinformatics, multimodality image analysis, and treatment outcome modeling. We operate at the interface of physics, biology, and engineering with the primary motivation to design and develop novel bioinformatics and complex system analytics to unravel cancer patients’ response to treatment and understand its underlying biology. Issam El Naqa received his B.Sc. (1992) and M.Sc. (1995) in Electrical and Communication Engineering from the University of Jordan, Jordan and was awarded a first place young investigator award for his M.Sc. work. He worked as a software engineer at the Computer Engineering Bureau (CEB), Jordan, 1995-1996. He was awarded a DAAD scholarship to Germany, where he was a visiting scholar at the RWTH Aachen, 1996-1998. He completed his Ph.D. (2002) in Electrical and Computer Engineering from Illinois Institute of Technology, Chicago, IL, USA, receiving highest academic distinction award for his PhD work. He completed an M.A. (2007) in Biology Science from Washington University in St. Louis, St. Louis, MO, USA, where he was pursuing a post-doctoral fellowship in medical physics and was subsequently hired as a Instructor (2005-2007) and then an Assistant Professor (2007-2010) at the departments of radiation oncology and the division of biomedical and biological sciences and was an adjunct faculty at the department of Electrical engineering. He became an Associate Professor at McGill University Health Centre/Medical Physics Unit (2010-2015) and associate member of at the departments of Physics, Biomedical Engineering, and Experimental medicine, where he was a designated FRSQ and CIHR scholar. He is currently an Associate Professor of Radiation Oncology at the University of Michigan at Ann Arbor and associate member in Applied Physics. He is a certified Medical Physicist by the American Board of Radiology. He is a recognized expert in the fields of image processing, bioinformatics, computational radiobiology, and treatment outcomes modeling and has published extensively in these areas with more than 100 peer-reviewed journal publications. He has been an acting member of several academic and professional societies. His research has been funded by several federal and private grants and serves as a peer-reviewer and associate editor for several leading international journals in his areas of expertise including the Red Journal and Medical Physics. He recently, co-edited a book entitled “Machine Learning in Radiation Oncology Theory and Applications,” Springer, 2015 and is currently editing another book on outcome modeling, Taylor and Francis, 2017. - Bioinformatics: design and develop large-scale datamining methods and software tools to identify robust biomarkers (pan-Omics) of chemoradiotherapy treatment outcomes from clinical and preclinical data. - Multimodality image-guided targeting and adaptive radiotherapy: design and develop hardware tools and software algorithms for multimodality image analysis and understanding, feature extraction for outcome prediction (radiomics), real-time treatment optimization and targeting. 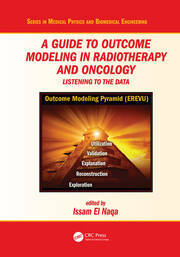 -Radiobiology: design and develop predictive models of tumor and normal tissue response to radiotherapy. Investigate the application of these methods to develop therapeutic interventions for protection of normal tissue toxicities.